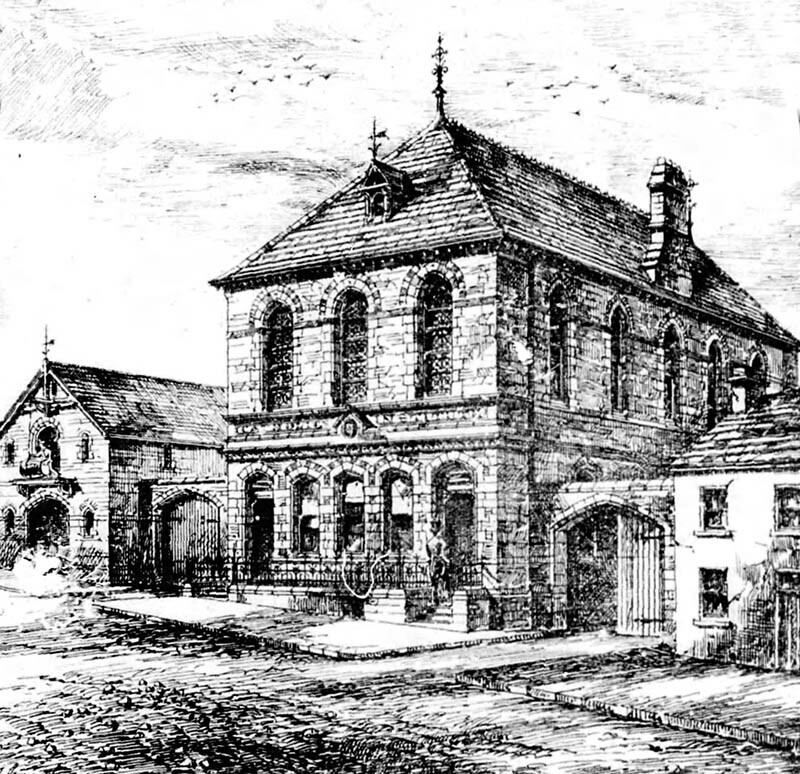 “This building, of which we gave exterior and interior views with last number, has been erected in Letterkenny, County Donegal, to supply a want long experiences, as heretofore there was no accommodation for large meetings, lectures, concerts etc. On the ground floor of the building next the street is a newsroom and behind it is a school, the entrance to which is through gateway at side of hall; and in a basement storey under the school portion of the building are a billiard and caretakers’s rooms. 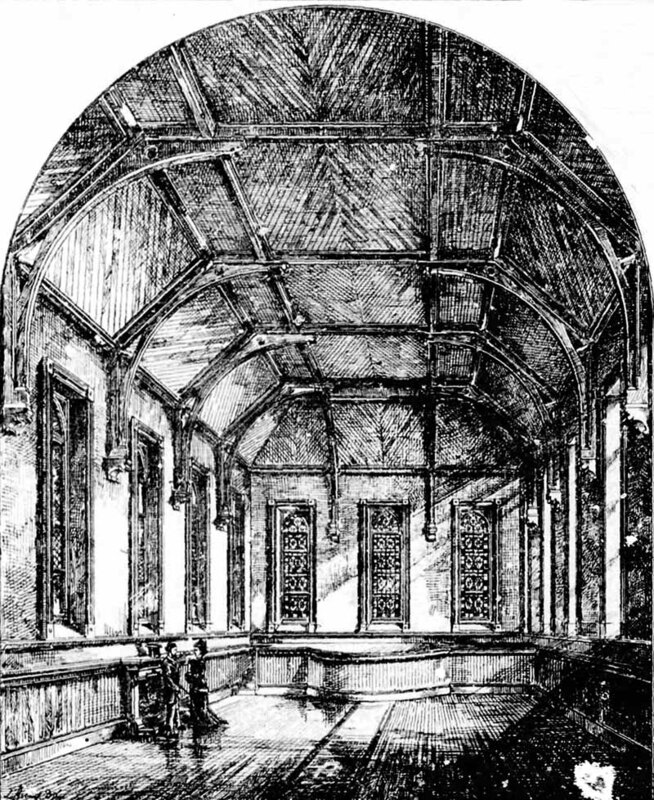 The hall itself, reached by a spacious hall and staircase, is the entire length of the building, excepting the portion screened off at one end for lobby, cloaks, lavatory etc. The dimensions are in clear 56ft. by 30ft., and, judging from the interior view, the height is in good proportion to the width. The ceiling is covered and sheeted with pitch pine laid diagonally. The cost will be about 1,600, exclusive of fittings, and the money is being raised by voluntary contributions. The architect is Mr. Timothy Hevery, F.R.I.A.I., of Alfred-street, Belfast; and the contractor is Mr. Harkin, of Letterkenny.” Published in The Irish Builder, July 1 1876.